It is imperative to make the right decision when hiring a web design company. Your design company will play so many roles in the creative process and knowing that your project is in the best hands, it can go a long way in alleviating some of the stress involved. At Pricester, we have a clear and complete understanding of what it takes to create successful websites for business professionals. The opportunities available with Pricester are endless and that is simply a result of this company's expertise. Due to our rapidly-growing and loyal clientele, Pricester has been regarded as one of the most successful high-quality website design companies in South Florida. The unique quality of our clients compels Pricester to produce websites that are specific and tailored. We feel that our clients are individuals; our website design is a direct reflection of that. Pricester is a website design company that has the capacity to customize your website based on your personal needs. Whether you desire high traffic or innovative design, Pricester provides services that allow customization, logo design, content writing, and Search Engine Optimization (SEO). We encourage you to contact us so we can discuss the opportunities available in a pressure-free manner. Committing to a website design contract doesn't have to be a financial burden. Pricester is willing to work with you, not against you, offering reasonable prices for our effective services. HOW IS PRICESTER DIFFERENT THAN OTHER WEBSITE DESIGN COMPANIES? 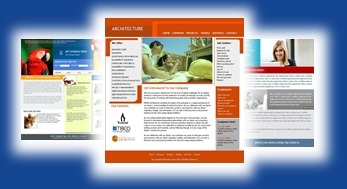 » Expert design team specializing in each phase of the website design process. » Customized website design as well as web template design. » SEO guaranteed to increase traffic to websites and return on investment. » Smart content that is researched and purposefully written to attract desired clients. » Feedback with clients throughout each phase of the web design process to ensure satisfaction. Please feel free to contact us and learn more about the website design services that we can offer you. We invite you to contact us so that we can tailor a website design goal specific to your needs and business opportunities. We look forward to including you to our repertoire of satisfied and successful clientele. Pricester Content Copyright © 2013. All Rights Reserved.